There’s no time for peach cobbler or raspberry corn ice cream! 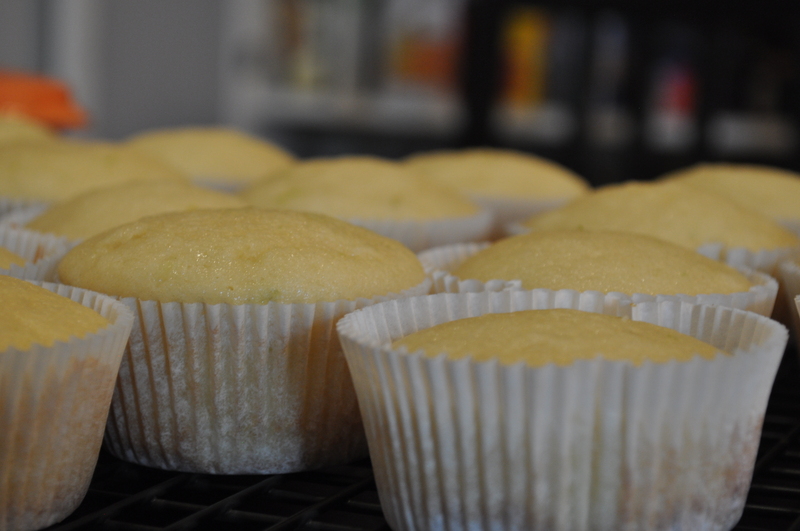 There are wedding events to cater…there are cupcakes to bake! Be back next week with all of these recipes! 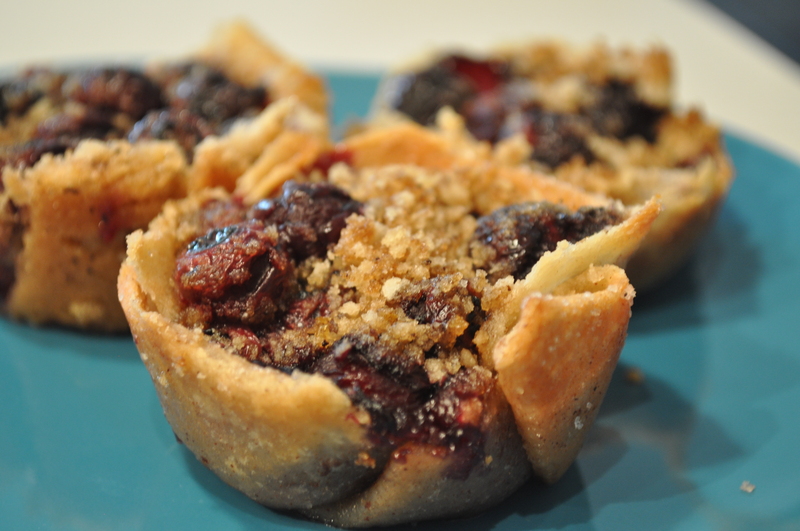 If I happened to be savvy with my words, I wouldn’t call one of these desserts a Blueberry Brown Betty, but rather an Easy-Peesy Blueberry Mini Openfaced Pie-Tart. Yes, well, alas, Betties, they are. But they really are insanely easy! And almost completely unexpectedly easy. 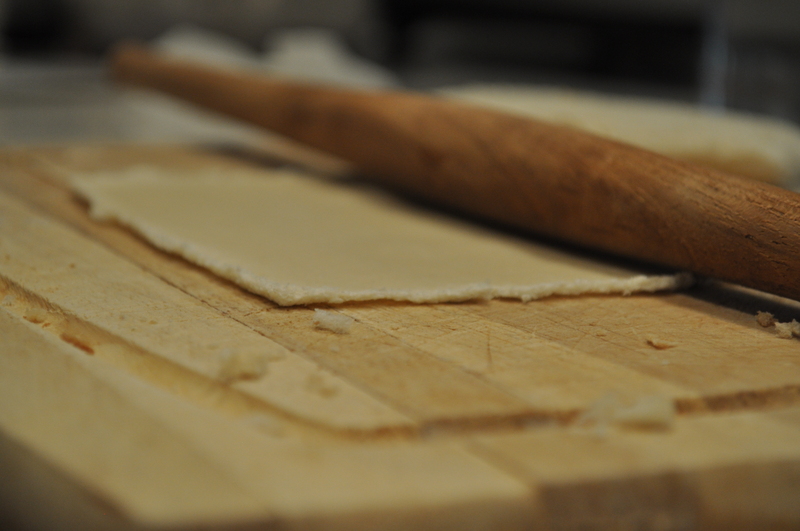 Which is just so much better than knowing how easy these are going to be before you go into it. So, here we are and I’m sorry to have burst your bubble. But try these, with any fruit you want. Because besides the fruit, you may already have all of the ingredients in your household. 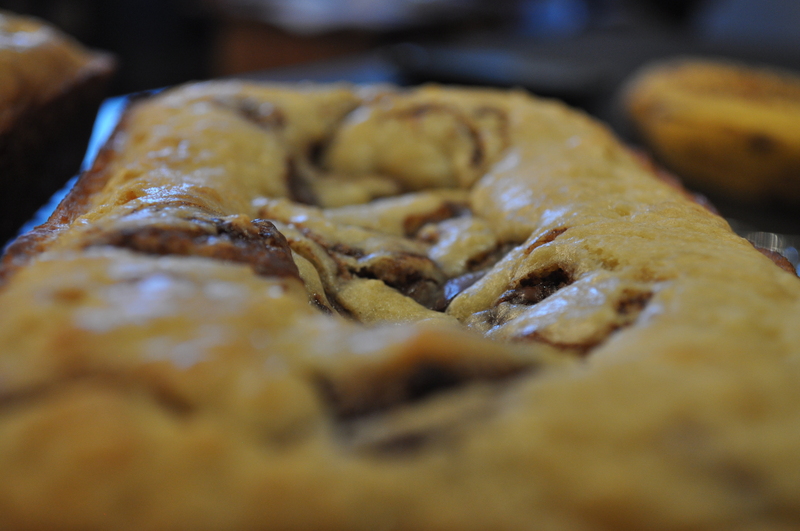 Because, if I haven’t already mentioned it, these babies are easy to make. And they are just so tasty. Right out of the oven, and a couple hours later at room temperature, and toasted the next day. 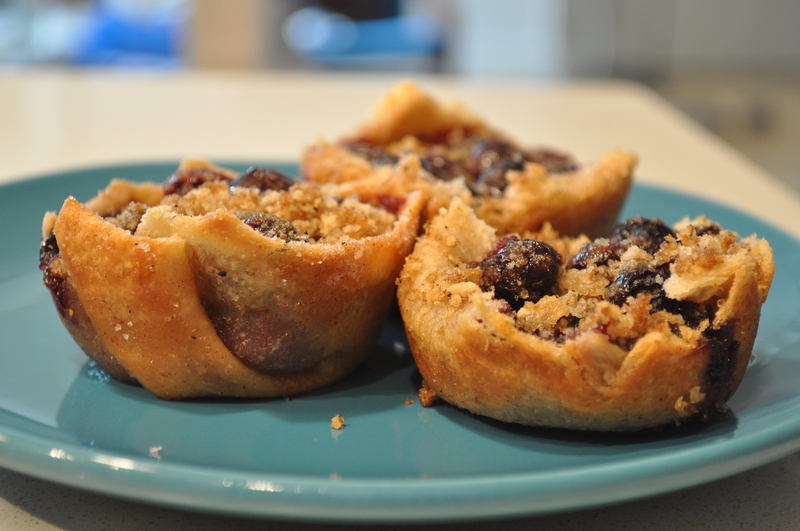 These mini pies are tart from the fruit with a delicately sweetened filing, and they showcase just how awesome summer (and its produce!) is. Delicious. And the last best thing about this (besides the ease and the taste, of course), is when you serve it to your friends and they comment on how yummy and unique the “crust” is. That’s when you silently laugh inside and think about how you just rolled out white sandwich bread as the crust, and your friends just don’t have a clue. Trust me, that’s the last best thing. You will see. Brown the butter: Place the stick of butter in a medium saucepan and melt over medium heat. Keeping an eye on it, watch as the butter melts, foams, clears and then begins to brown and smell almost nutty. It will take about 5-7 minutes. Take off heat. Make filling: Mix together the panko, salt, lemon zest, and brown sugar. 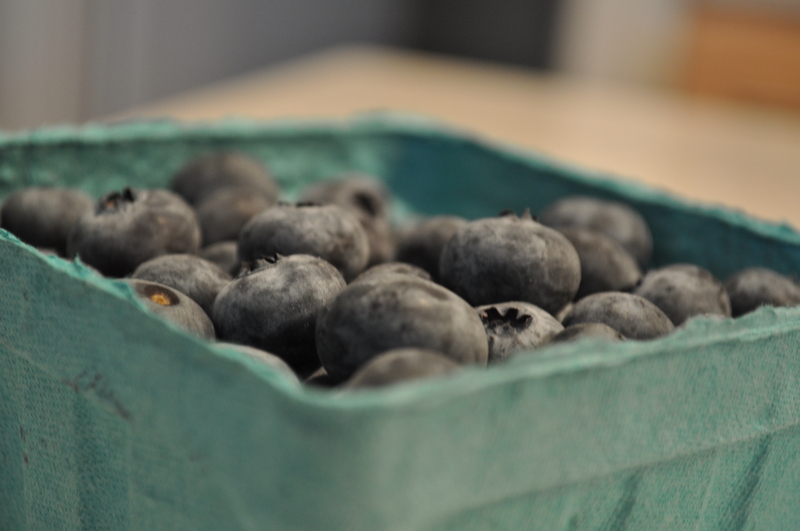 Add blueberries and toss to coat. Set aside. In a separate bowl, mix together sugar and cinnamon. Set aside. Preheat oven to 350. 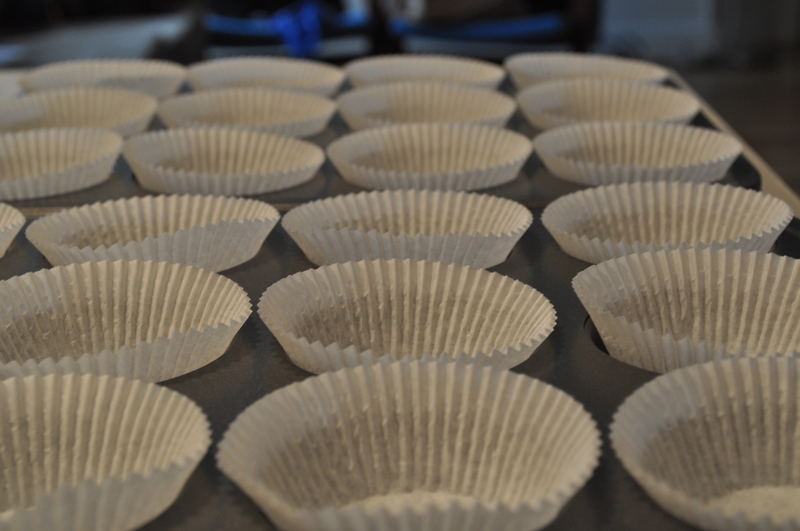 Using a brush, butter 9 muffin cups of a muffin tin. 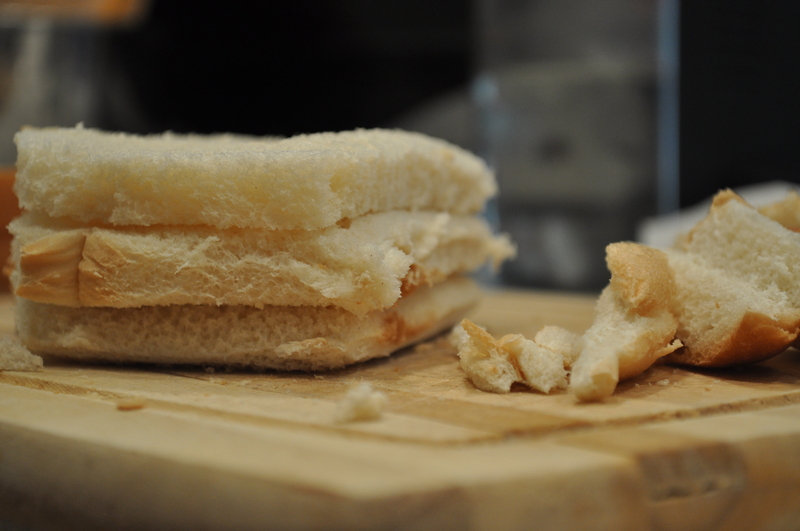 Roll out each piece of bread until completely flat. Brush each side of bread with browned butter and sprinkle each side with the cinnamon and sugar mixture. 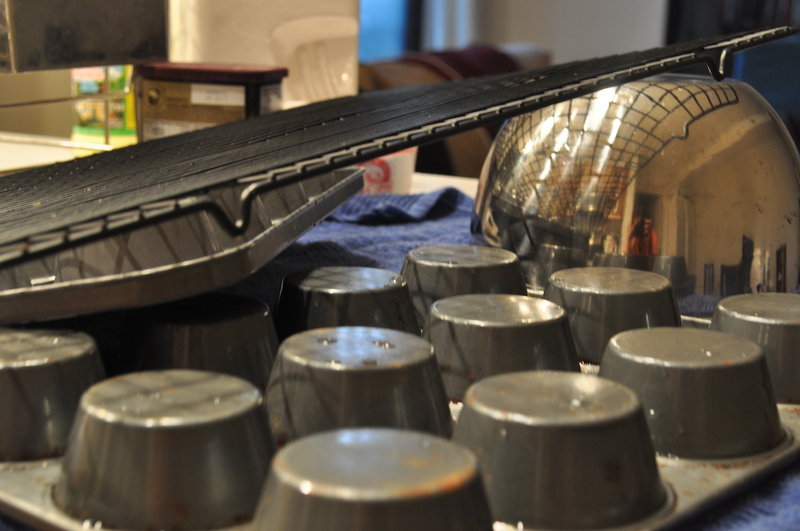 Gently fit it into the muffin tin. Repeat with the remaining slices of bread. Pour the remaining butter into the blueberry mixture. Stir to combine. Evenly distribute filling into each of the bread cups. Cover pan with aluminum foil. Bake for 20 minutes with the foil on. Take foil off and bake for an additional 20 minutes. Let sit in pan for about 10 minutes before unmolding. Sprinkle with powdered sugar. One day in high school, soon after receiving my driver’s license, my mom sent me to the grocery store to get a few items for dinner. Always eager for a drive by myself, I happily obliged. 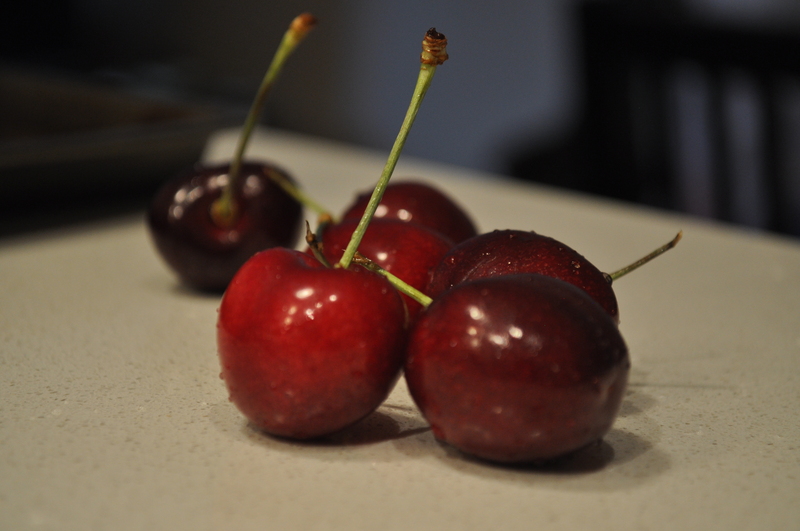 When I arrived at the grocery store, I saw these beautiful fresh red cherries staring back at me. As if to further assert my independence, I strayed from the list and got, well, a lot, to make sure that my entire family would have enough. I knew that my mom would be proud of me for getting something so nutritious for once! What resulted from this is that I rarely baked with cherries. Cherries were meant to be seen and not bought. I exaggerate. I bought them to eat, of course (with my mom’s permission, even after high school), but I never thought that I could appreciate “every single one of them” if they were baked into a cobbler. This is all until last week when I saw that cherries were on sale! I had never seen such a sight! I picked two 2lb. bags of cherries, having every intention to bake with them. I’ve never had such freedom to use cherries in my life! And it was so so sweet. 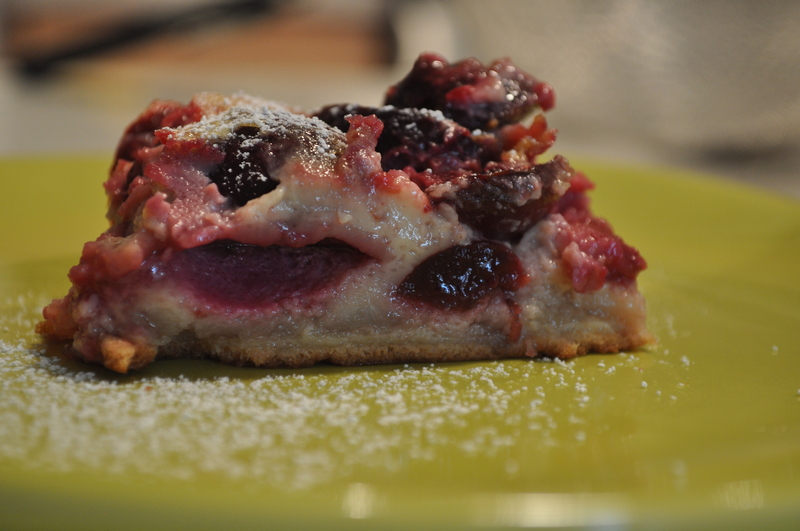 As was this clafouti, which is like a big, thick pancake like cake. Very eggy, sweet and satisfying. But most of all, to my surprise, I think that I valued every single cherry that was thrown into the pan, in this cherry-filled treat. And savored every last one of them. Thanks to my mom, of course. *In defense of my lovely mother who will not be so appreciative of this post, I stretched the truth a bit here. She was not so scary at the time (c’mon, “steely eyes”?? ), though I did learn my lesson. Did you like the truth in the story? I didn’t either! Exaggerated story wins. This is a Julia Childs’ recipe! Not one to be messed with. But I did, anyway. Ever-so-slightly. Which was a mistake. 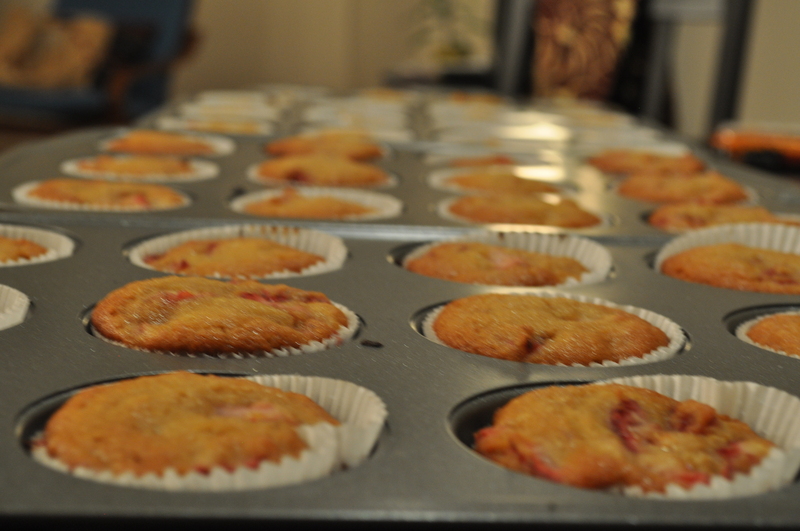 I noticed that all fresh cherry recipes have just a smidge of almond extract in it. So I added 1/2 tsp. What was I thinking?! I don’t even like almond extract! It gave this a bit of a artificial taste, which was, well, not pleasing. But I will suggest this: this recipe was very very sweet. Almost too sweet to the point where you were not able to taste the freshness of the cherries. I am tempted to say that you may want to cut the sugar by half. That’s a lot, I know. 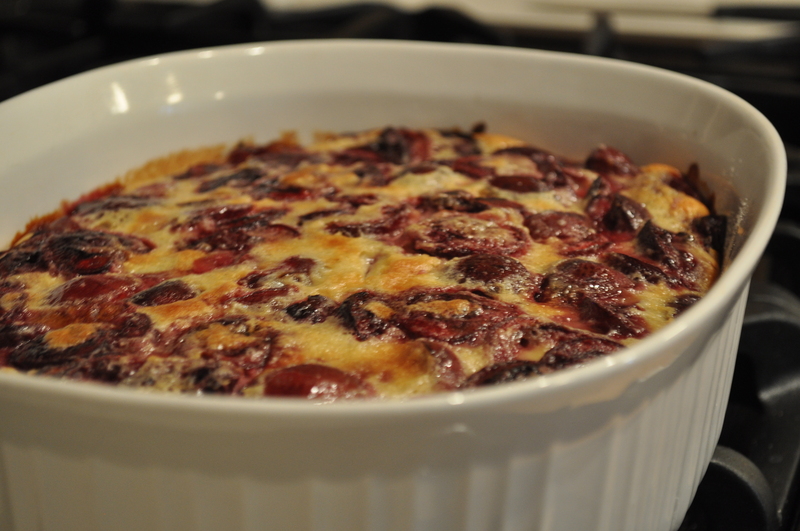 But this clafouti is screaming for a sprinkling of powdered sugar after it’s baked. And you can adjust the sweetness level there. Preheat oven to 350. Butter an 8 cup casserole dish. In a blender, mix together milk, half of the sugar, eggs, vanilla, all purpose flour and salt, until completely smooth. Pour a 1/4 inch layer of the mixture into prepared pan. Bake for 10 minutes until almost set. 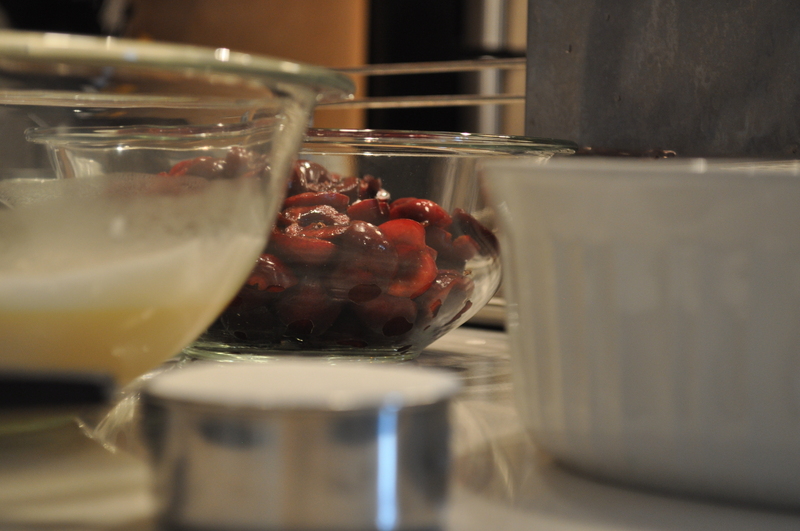 Sprinkle cherries evenly over baked mixture. 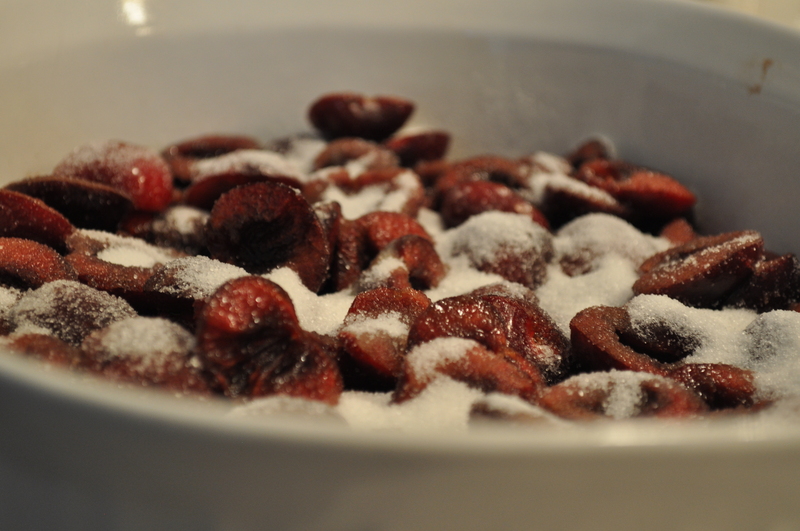 Sprinkle the remaining sugar evenly on top of cherries. Pour the rest of the batter on to the cherries. Bake for about 50-60 minutes until browned, set and tester comes out clean. Let cool for about 10-15 minutes. Sprinkle with powdered sugar, slice and serve. One of my cousins from India always requests certain American-found food items whenever I visit. Double-stuffed Oreos usually make the list, she has a thing for Cool(er) Ranch Doritos, and she always sends an entire list of chocolates for me to bring. But without fail, every single time, I must bring her Nutella (the quintessential American treat?). This is a pretty understandable request – Nutella tastes amazing on just about everything: graham crackers, apples, cookies. But my cousin does not spread this on anything. She instead mixes it into her milk, kind of like chocolate syrup, but much more difficult to mix in. I’ve tried – I stirred for a long time without getting anywhere. She ends up with mildly flavored chocolate hazelnut flavored milk with globs of Nutella at the bottom. This, she says, is her favorite part. She tips her cup all the way back for the milky Nutella to slide down, and when that usually does not happen, she takes a seat with the mug and spoon in hand. This is all pretty gross, you may think. But I think that it’s brilliant! Globs of nutella, at a bottom of a mug or otherwise, are probably the most delicious globs you can find. I do not know of one person that would not enjoy a glob of Nutella deliciousness. So when I was going to India around her birthday, I knew exactly what to bake for her to incorporate her favorite type of glob. 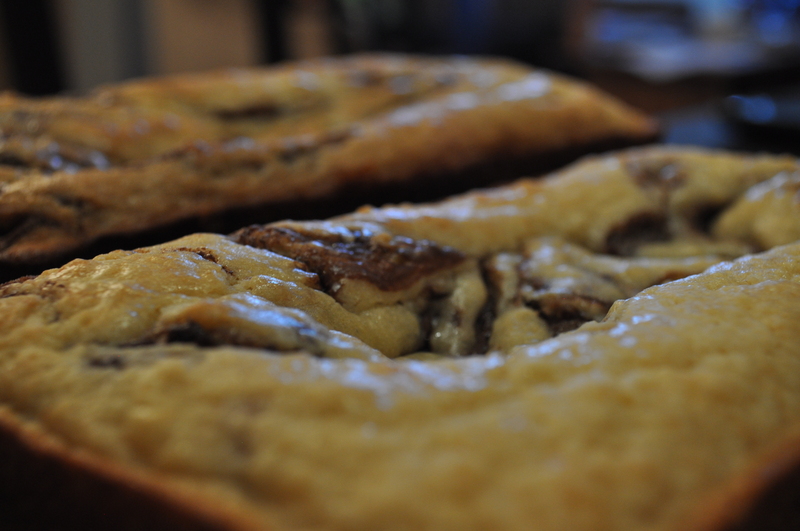 I swirled in Nutella into my favorite eggless cake recipe. 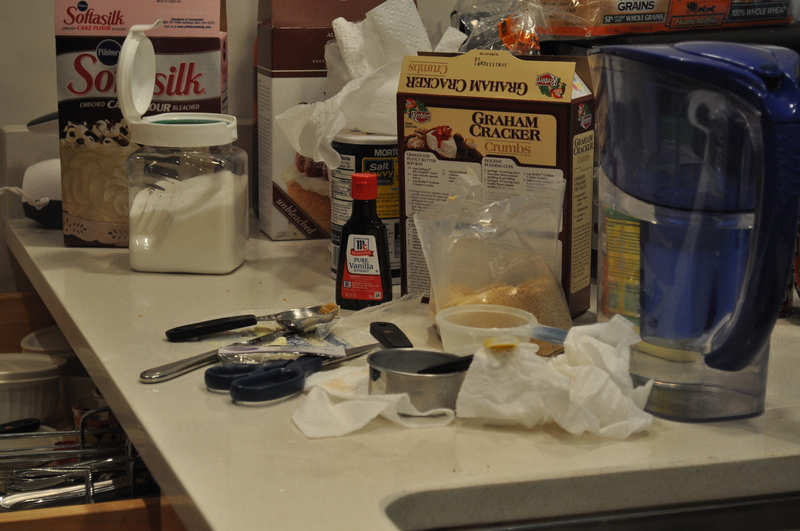 It sank a bit – Nutella is a bit heavy, I realize now. But that just made the globs all the more apparent and delicious. This cake was very yummy, it traveled well, and though everyone else loved this pound cakey-cake, my cousin picked out all of the Nutella from the cake and ate just that. I was only slightly offended. I don’t quite remember where I first found this dessert, but if you type in “eggless condensed milk cake” into Google, there are like thousands of results that pop up. Swirl in Nutella or swirl in jam, or make the whole thing chocolate or peanut butter, there are recipes for all. Preheat oven to 350. 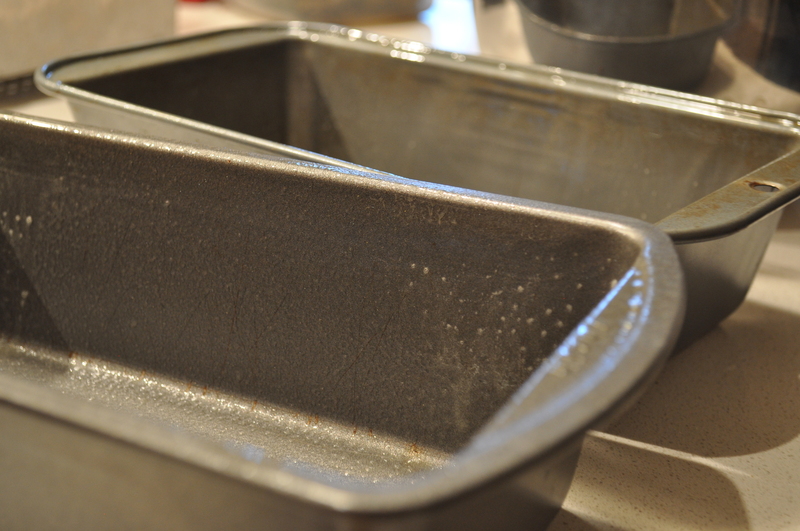 Spray two loaf pans with cooking spray. 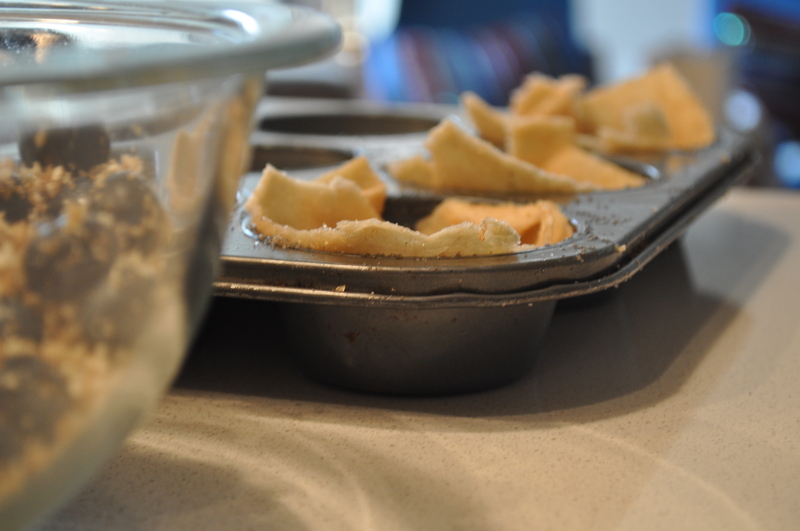 Sift together the all purpose flour, baking powder, salt, baking soda into a large bowl. 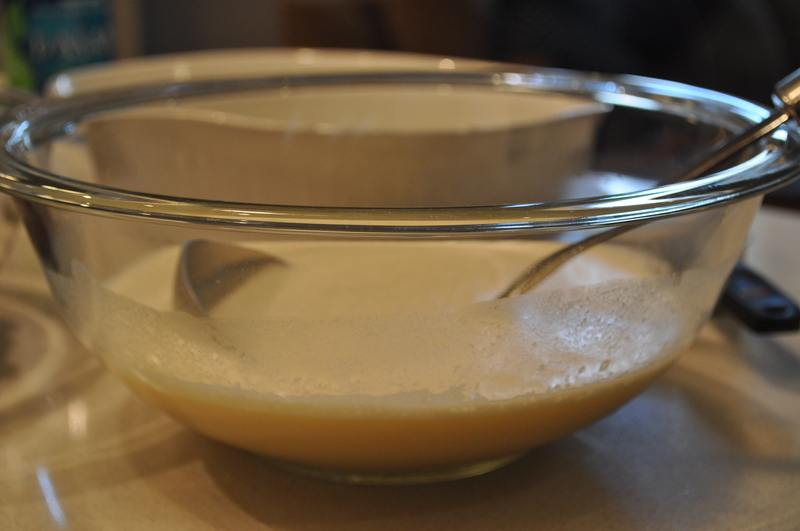 In another bowl, whisk together the condensed milk, orange juice, melted butter and vanilla until well blended. Make a well in the centre of the flour and pour the blended wet ingredients. Using a wooden spoon, mix until well incorporated. Pour into prepared pans. 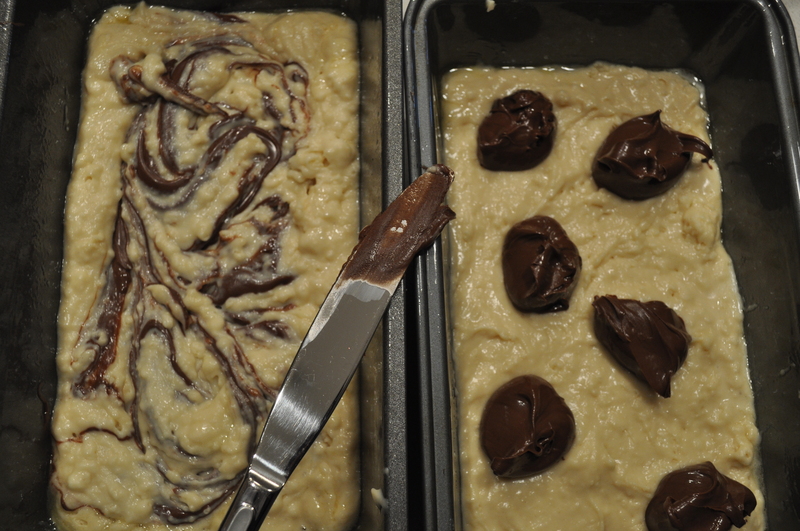 Using a tablespoon, evenly glob the Nutella on top of the cakes. 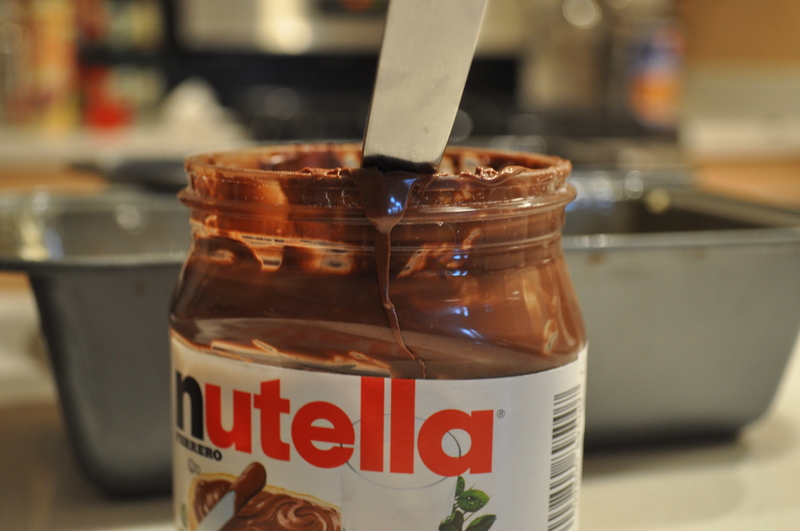 Using a butter knife, cut into globs and swirl the Nutella into the batter. 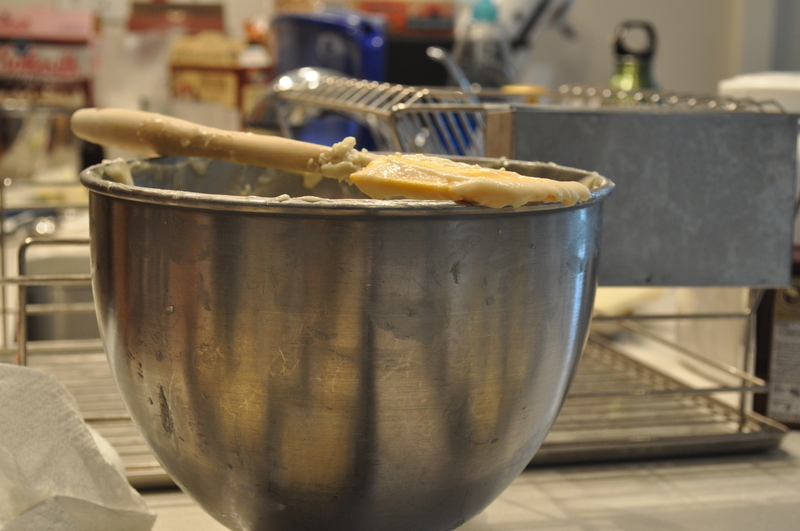 Bake for about 30 to 40 minutes, until a cake tester comes out clean. Cool the cake in the pan for about 15 minutes, remove from the pan and cool on a rack.